It’s summer, 1942, and after a tough couple of years, DI Tom Tyler is making a fresh start in Ludlow, Shropshire. On the outskirts of town, St. Anne’s Convalescent Hospital, staffed by nursing sisters who are Anglican nuns, has been established in an old manor house to help victims of the war to recover. After a horrifying double murder is discovered on the grounds, Tyler must figure out how the crime could have occurred in such a secluded and presumably impenetrable place, where most of the patients are unable to walk or are blind, or both, not to mention deeply traumatized. To add to the puzzle, Tyler begins almost immediately to receive mysterious letters recounting terrible crimes far away. He realizes that he is not only seeking the murderer, but that the horrors of the war are closing in on this place that was meant to be a refuge. 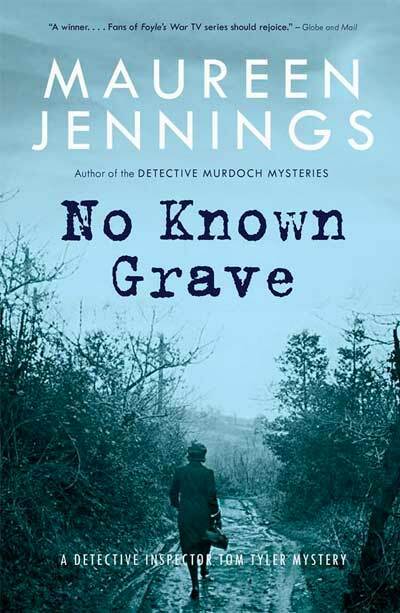 Maureen Jennings, beloved author of the Murdoch novels that inspired the popular TV series (known as The Artful Detective in the US), surpasses herself in this vivid portrayal of wartime Britain, brilliantly blending a classic murder mystery with a deeply human story of how the effects of war live on far from the fields of battle.